Did you know the glands in your throat and nose are capable of producing up to two quarts of mucus per day? Although the notion of so much mucus may not seem appealing, this substance plays a vital role in your continued health. Mucus features a host of responsibilities, which include trapping inhaled matter, clearing debris from your airways and even fighting off infections. Typically, you swallow mucus without much thought; however, there are times when its presence becomes noticeable and you can feel it dripping down the back of your throat. When this occurs, it’s referred to as post nasal drip. There are many reasons why this sensation takes hold, ranging from thicker-than-normal secretions due to an illness or by swallowing disorders. The most common cause of post nasal drip include allergies, sinusitis, rhinitis, the common cold and even sudden shifts in air temperature. Regardless of why you’re experiencing this uncomfortable sensation, the need for immediate relief is universal. Post nasal drip remedies are designed to naturally reduce the severity of this condition. The following post nasal drip remedies were designed to reduce the presence of mucus and help the body naturally regain its intended balance. Although these remedies are considered quite effective, you must actively work to inhibit the onset of symptoms by avoiding air irritants, such as cigarette smoke or spending excess time outside during the peak of allergy season. Gargling with salt water is perhaps one of the most effective post nasal drip remedies as it works to reduce inflammation and “dry up” excess mucus. To utilize this simple and powerful remedy, simply add 1/2 teaspoon of salt to 1 cup of water. Pour a small amount in your mouth and gargle for 1 to 2 minutes up to five times per day. When it comes to post nasal drip remedies, sometimes the most effective cures are also the easiest. Making sure you drink at least eight 8-ounce glasses of water per day can provide significant relief from post nasal drip symptoms as this level of water intake ensures the nasal passages are properly hydrated. Hydration is imperative as dehydrated nasal passageways attempt to compensate for the lack of hydration with excess mucus production. When it comes to home remedies for post nasal drip, none are as effective at instantly relieving these symptoms as ginger and thyme tea. Both of these herbal ingredients feature active compounds capable of releasing excess mucus while providing ample inflammation relief. When consumed regularly, post nasal drip can be completely eliminated. This is an excellent home remedy for those who are surrounded by air irritants, such as cigarette smoke. To utilize this remedy, simply bring 1 cup of water to a rolling boil and add 1/2 teaspoon of freshly ground ginger and 1/2 teaspoon of fresh thyme. Cover and allow the tea to steep for 10 minutes. Strain and drink up to two servings per day. Sometimes the most effective post nasal drip home remedy simply involves breathing in. Peppermint oil is an excellent example of such a remedy. The volatile oils found within this ingredient work to break up excess mucus while simultaneously calming inflammation and irritation that often results in post nasal drip. To utilize this PND remedy, bring 1 cup of water to a rolling boil. Once hot, pour into a heat-safe bowl and add 5 to 10 drops of peppermint essential oil. Bring the bowl under your nostrils and breathe deeply for several minutes. The acetic acid found within apple cider vinegar makes this one of the most effective PND remedies. By consuming up to two times per day, you can experience significant reduction in post nasal drip symptoms. Simply add 1 tablespoon of unprocessed apple cider vinegar to 8 ounces of water. If the flavor is too strong, add 1 tablespoon of raw honey. Drink up to two times per day to help control and inhibit post nasal drip symptoms. Apple cider vinegar is also an effective home remedy for UTIs. The healing properties in eucalyptus oil make it an excellent post nasal drip remedy. When its vapors are inhaled, its active properties act as an anti-inflammatory and expectorant, which means it helps break up excess mucus for post nasal drip relief. To utilize this remedy, simply bring 2 cups of water to a rolling boil and pour in a heat-safe bowl. Add 5 drops of eucalyptus oil. Lean over the steam and drape a towel over your head. Breathe normally for three to five minutes. Make sure to keep your eyes closed as its vapor can cause your eyes to sting. This is an effective post nasal drip remedy in the morning or before bed. For many, post nasal drip intensifies during drier months. As you inhale dry air, your body attempts to increase the moisture within your throat by increasing mucus production. This post nasal drip remedy increases air moisture to naturally trigger a reduction in mucus production. Simply place a humidifier in your room and breathe normally. You’ll soon notice your post nasal drip symptoms begin to ease. Nasal irrigation is among the top post nasal drip remedies for instant relief. Not only does the saline content help reduce inflammation, but its use thins mucus and helps wash away irritants or infections that may be causing your symptoms. To utilize this remedy, add 1/4 teaspoon of finely ground non-iodized salt into 8 ounces of warm, sterile water. Add this solution to a Neti Pot. Lean forward and turn your head to the right side over a sink. Make sure to keep your forehead along the same horizon as your chin. Gently insert the Neti Pot spout into the left nostril and raise the Neti Pot to slowly inject the solution into the left nostril. Breathe through your mouth and allow the solution to flow out of the right nostril. Repeat on the other nostril. 25 Natural Home Remedies For Constipation That Work! Constipation is extremely common in people of all ages, and can leave you feeling bloated, sick, irritable, and in severe cases, can even result in loss of appetite. Infrequent or irregular bowel movements can have a significant impact on a person’s general wellbeing and day-to-day happiness, and it’s highly likely that, at some point in your life, you will experience the many symptoms associated with constipation. With cases varying from person to person, symptoms of constipation include difficulty passing stools, bowel movements becoming less frequent, and stomach aches and cramps becoming a regular occurrence. But it’s not all bad news – there are numerous remedies for constipation that can help to clear up the symptoms and prevent the problem from reoccurring. There are a whole host of effective natural home remedies for constipation that are perfect for relieving constipated bowels – it’s not always necessary to head straight for the laxative box! This is one of the 25 constipation home remedies that you’ll almost certainly find in store cupboards around the world. Best known as a healthy and tasty cooking fat, Olive Oil’s texture and consistency also make it perfect for stimulating your digestive system. It can even prevent constipation too! Consume 1 tablespoon of olive oil in the morning before you eat (it’s far more effective on an empty stomach). You can even mix the olive oil with 1 tablespoon of lemon juice to intensify the flavour (lemon juice is also widely used as an effective aid for constipation). There’s nothing more refreshing than a burst of lemon to add flavour to your favorite drink. But did you know that it is also great for relieving constipation and getting your bodily functions moving along again? The citric acid found in fresh lemon is renowned for stimulating your digestive system and is great for flushing out any undigested food and toxins that have built up along the walls of your colon, making it a great home remedy for constipation. Simply take 1 fresh lemon and 1 cup of water (warm or cold!). Cut your lemon in half using a sharp knife. Now, squeeze the juices from the lemon into the cup of water. Sip until it is finished. Do this daily and it’s sure to give you to kick-start your metabolism, keeping things moving as they should! Fresh lemon really is one of the most under-appreciated home remedies for constipation, but it should be one of the first you try. For many of us, our daily dose of coffee is an essential part of our daily routine. Not only does it give us a much needed boost to start our day, it’s also great for stimulating your digestive system (when consumed in moderation of course!). But be warned, over indulging can have the opposite effect. 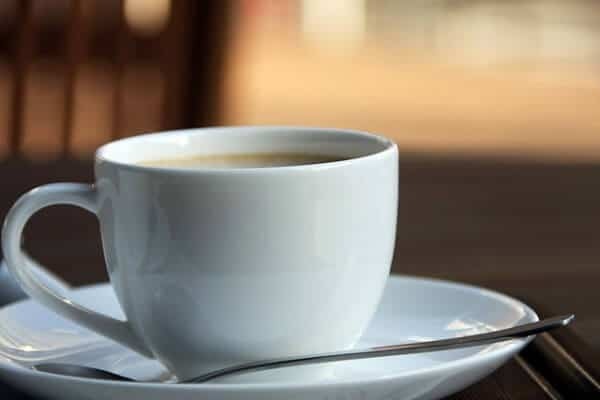 This is because coffee is a diuretic, which can make you urinate more frequently therefore, if you drink too much it can lead to constipation cause by dehydrating your body. Check out our post on bulletproof coffee! Consuming a healthy, balanced diet that is high in fibre will naturally help to relive and even prevent constipation! Natural foods such berries, figs, nuts, pears, beans, broccoli and whole grain bread are bursting with natural goodness and fibre, making them perfect for softening your stools, and acting as a natural remedy for constipation. Raisins are also worth a mention, as they are not only high in fibre but also act as an effective laxative. Yes, that annoying weed that seems to pop up everywhere in your back yard is one of our natural home remedies for constipation. No, we’re not joking! The constituents of dandelions act as a gentle laxative and detoxifier. So, drinking dandelion tea will initiate bowel movements. It’s really simple to make too! Measure 1 – 2 teaspoons of dandelion leaves and place into a mug. Pour 1 cup of hot water over them. Now cover them and let them steep for 6-10 minutes. If you do this at least 3 times a day, you should start to see results. 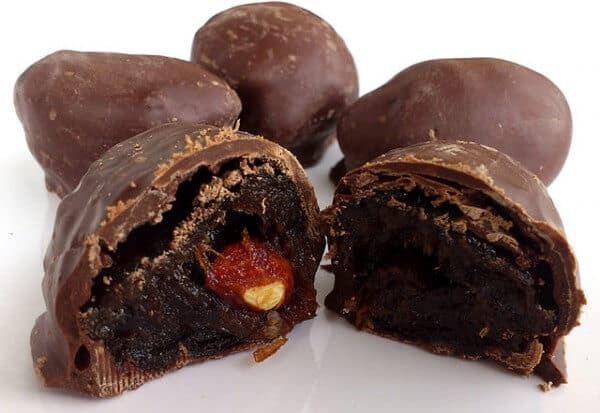 Prunes – one of the most popular home remedies for constipation! Consuming prunes or prune juice is probably one of the most well-known constipation home remedies. Prunes are a natural laxative as they contain high amounts of fibre and sorbitol, which softens the stools naturally. Experts recommend drinking a glass of prune juice daily (early morning and late evening) in order to relieve constipation. There’s probably not a store cupboard in the land that doesn’t contain baking soda, mainly due to its versatile nature. So, you’ll be pleased to hear that it is an effective home remedy for constipation, and the tummy aches and cramps that often come hand in hand with irregular bowel movements. The bicarbonate works by encouraging air to leave your body, relieving the pain and pressure caused by constipation. 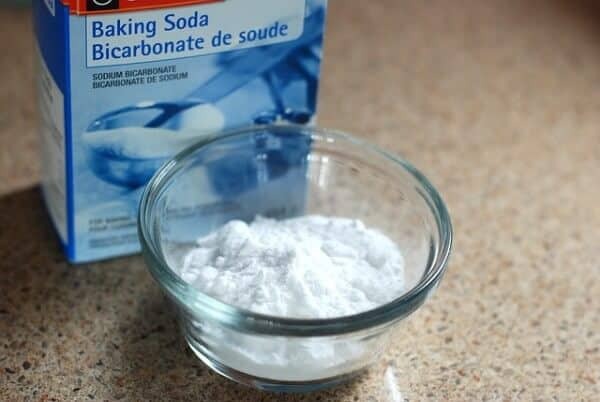 It’s easy to mix up too, simply take 1 teaspoon of baking soda, and mix it into a ¼ cup of warm water! Make sure you drink it all to achieve the most effective results! Baking soda can also be used to treat UTIs. As well as all these natural home remedies for constipation, routine is also vital! With the demands of daily life pulling us in all directions, it can often be difficult to establish a routine when it comes to regulating your bowel movements. But, by setting aside around 10 minutes, 1-3 times a day to empty your bowels, it can help you to establish a routine that works around your busy life. Of course, don’t be disheartened if nothing happens at first, it can take time to regulate your bowel movements. Above all, it’s important to remain calm and relaxed in a place that you are comfortable! It’s a proven fact. Exercising is a great way of getting your body moving and will naturally speed up your metabolism. After all, how can you expect food to move seamlessly through your body if you don’t move around! Setting time aside to exercise daily will not only help to relieve constipation, but it will also prevent it occurring in the first place. It could even be a small change as simple as taking the stairs rather than the elevator. A great remedy for constipation and a way to get fit and active too! Flaxseed Oil – one of the very best natural home remedies for constipation! The clue is certainly in the name with this constipation home remedy… flaxseed oil is used around the word as a reliable and trusted home remedy for constipation. It works by coating the walls of the intestine and stool, naturally increasing your bowel movements. Even better, it is also contains heart healthy omega-3 fats and can be enjoyed with a delicious glass of orange juice, which is also bursting with natural goodness and fibre. And like most of these natural home remedies for constipation, this natural remedy is easy to make … simply mix 1 tablespoon of flaxseed oil with 1 glass of orange juice and drink up! Widely known for its ability to soothe cuts and burns, you’ll probably be surprised to hear that it is also able to soothe the cramps and tummy pains caused by constipation. 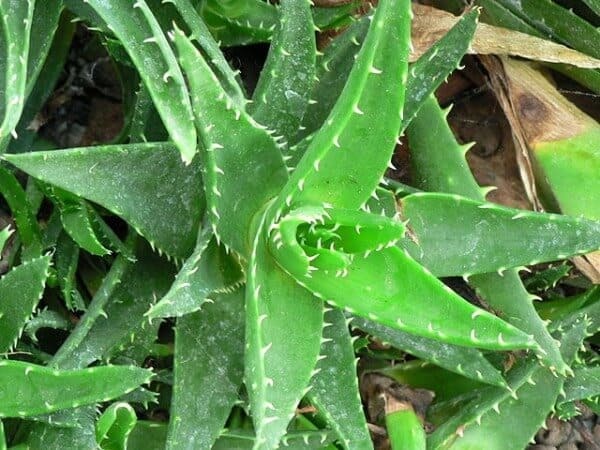 Although drinking aloe juice will do the job, it’s far more effective if you use pure aloe vera gel that comes straight from the plant as this is much more concentrated than juice. Again, this is another remedy that you’ll most likely find lurking in your store cupboard. Epsom salt works by drawing water from its surroundings, allowing it to soften stools and make it easier for you to pass more frequently and easily. But that’s not all. Epsom Salt also contains magnesium, which naturally contracts your muscles, making passing stools a lot easier! It’s so important to always listen to your body. After all, it knows you better than anyone else, right? To prevent constipation, it’s important to go to the bathroom when you need to go. By holding it in, you could cause your bowels to become clogged, making it difficult to pass stools. Squat – exercise is a constipation home remedy! Whether or not you like the sound of this remedy, squatting over the toilet can help to relieve constipation by kick starting your colon. This is because your body instantly recognises this position as being a time to retreat to the bathroom and pass stools! It’s important to note that these natural home remedies for constipation ease the symptoms of constipation. They do not address the underlying cause! Switching to high fiber and unrefined foods such as whole-grain cereals, pastas, and breads will make a make a huge impact – demonstrating how making small changes to your existing diet can relieve or prevent recurring instances of constipation, acting as a long term natural remedy. Although it’s high in calories, when used occasionally, Blackstrap Molasses is an ideal solution for relieving constipation. Simply take 2 tablespoons before you go to bed every so often, and you should start to notice a difference. Renowned for its strong taste that can often be overpowering, many people choose to add milk or fruit juice, or even prune juice, which will naturally speed up your bowel movements too! As a mild laxative, honey is a tasty way to get your bowels moving whilst acting as a natural home remedy for constipation. Experts recommend taking 1 tablespoon of honey three times a day when using it as a home remedy for constipation, and you can even mix it with Blackstrap Molasses for an added kick! However, it’s important to note that this should be used as a short-term solution as honey is extremely high in calories. Beans are an excellent source of fibre, making them perfect for adding into all kinds of meals. Whether they’re red beans, lima beans, navy beans or pinto beans, they all do the same job! One note of caution however, although beans are a great home remedy for constipation, it might be worth integrating beans into your diet gradually to prevent excessive gassiness! Sesame seeds are a great natural remedy for constipation. Not only are they a healthy and nutritious snack, they also soften the contents of the intestines, paving the way for softer stools that are easier to dispose of. Providing roughage and bulk, sesame is also available in a butter, paste, oil, and even Middle Eastern dips (tahini). It’s important that you only eat ½ ounce each day, and consume lots of water! If you suffer from recurring bouts of constipation, it might be worth keeping a food diary to establish whether the cause is due to a particular type of food you are eating. By logging what you have eaten each day, it will be much easier to pinpoint the foods that are causing you continuous discomfort. Remember, prevention is better than cure! Water is a fantastic natural remedy for constipation and, what’s more, it’s cheap! Not only does drinking plenty of water keep you hydrated and, of course, gives you a glowing complexion, it also helps to moisten your intestines and keep them working as they should. By drinking at least 3 litres of water each day, you will be able to experience a host of health benefits! So, drink up! All medications come with some sort of side effects, and constipation is one of the most common reactions to many prescribed and over the counter prescriptions. If you are taking any form of medication, and regularly suffer from constipation, it might be worth asking your doctor whether your medication could be the cause of the problem. Some of the drugs that have been commonly linked to causing constipation include Beta Blockers and antidepressants, as well as other pain medication. Fruit and veg offers are fantastic natural home remedies for constipation, and a diet rich in fruit and vegetables can even prevent constipation occurring in the first place. In order to sustain a healthy and happy lifestyle, consuming your daily dose of fruit and vegetables should be high on your list of priorities. By consuming at least five healthy servings of fruit and vegetables each day, you will also be minimize your risk of suffering from constipation. And with a variety of fruits and vegetables available, there’s really no excuse! Castor oil may not be too tasty but it’s an ideal remedy for constipation. This is because it contains a host of compounds that, when digested, instantly stimulate both the small and large intestines. By swallowing only 2 teaspoons on an empty stomach, you’ll reap the benefits within 8 hours! Not only do herbal and decaffeinated teas taste delicious, they also help to get things moving so they act as a great natural remedy for constipation. They are also super good for you and come in a variety of tempting flavors! There you go! 25 natural home remedies for constipation, that gently get things moving again. Find a used can or jar. If you’ve got a mason jar, they work particularly well, but any sort of jar or can will do. Fill your chosen jar or can with apple cider vinegar. If you don’t have any apple cider vinegar in your store cupboard, any type of vinegar will work well. If you’re using white vinegar though, we’d recommend adding a couple of drops of dish soap to make it extra appealing to those gnats (they’re especially fond of lemon!). Seal the lid, or cover with cling film if you don’t have a lid, and poke several very small holes in the top using a nail or a screw. Leave the jar in a place that seems to be popular with your gnats (if you have more than one problem area, you can make several jars to cover multiple locations). The gnats will fly into the jar/gnat trap but will be unable to leave it again – dispose of the jar and your gnat problem will be a thing of the past. Take a small container such as a shot glass or a similar sized cup. Fill the container about ¾ of the way full with red wine (any red wine will do, the gnats aren’t fussy!). Add a couple of drops of dish soap to the wine. Then, simply leave the mixture out and watch the gnats flock to it! The gnats will try and sit on the liquid’s surface but, because the dish soap breaks the surface tension of the wine, the gnats will fall straight through and drown, making this a simple but deadly gnat trap. If you don’t want to share your red wine with the gnats, you can also make this gnat trap with vinegar rather than the wine. See the image below. Make the trap in the same way, just substitute the wine for the vinegar. Cover the front of a yellow index card, or similar sized piece of card or paper, with a thin layer of honey. The key here is making sure that the card you use is yellow as that’s what attracts the gnats. Next, tape a chopstick, popsicle stick, or straw to the back of the card. Make sure that you don’t attach it to the sticky side! Place the stick in the soil next to an infested plant, with the honey-coated side facing outwards. The gnats will be attracted by the yellow card and the sweet honey, and will become trapped in the honey. Once the yellow card is full of gnats, replace it with another sticky gnat trap. In a spray bottle, create a soap spray solution by mixing together 2 tbsp of liquid dish soap (lemon works best!) with 1 gallon of water. Try to avoid any dish soaps that are particularly harsh as they may damage your plants. Spray the soil, leaves and stems of any infested plants with the soapy solution. This should kill gnats. Leave the solution to settle for an hour or so, then spray the leaves and stem of the plant with clean water to rinse off the soap. In a spray bottle, mix together a small amount of alcohol (you can use rubbing or drinking alcohol, whichever you’ve got to hand) with water. To make sure that you don’t damage your plants in your plight to rid them of gnats, spray one leaf with the solution and leave it to soak in for a couple of days. If the alcohol solution does not burn the lead, the solution should be safe to use on your plants. If the leaf is burnt, try diluting the alcohol with more water and repeat the test on a different leaf. Spray the solution onto the affected leaves, flowers, stems, and soil every three days for two weeks, or until your gnat problem disappears. If you are worried about damaging your plants, you can also leave the solution in bowls near the infested plants. If you’ve got plants in and around your home, they should be your first suspect when identifying the cause of your gnat problem. Gnats love the moisture brought by the soil feeding your pot plants, particularly if you have a tendency to overwater them. Firstly, let the infested soil dry out. Gnat eggs are often laid in damp, overwatered plants as the larvae need moist conditions to grow. If you let the top 2 inches of soil dry out, the eggs and larvae should also dry out and die. Next, re-pot your plants. Remove them from their current pots and plant into fresh, clean pots with new soil. Make sure that you remove as much of the plant matter as possible, so as to avoid transporting any gnats, eggs, or larvae into the new pot. Once you’ve re-potted your plants, it can be worth covering the surface of the soil with a layer of sand to try and keep the gnats out. You should also avoid over-watering plants and drain any excess water from your plant containers, as this will almost certainly attract gnats. Additionally you can place gnats trap around the plants. Funnily enough – you can actually plant some plants that help to repel gnats too! Gnats can often appear around your drains, particularly in the kitchen. To get rid of gnats from your drains, try using vegetable oil. Pour ¼ cup of vegetable oil into the drain, applying it around the edge of the drain so that it glides down the pipe and clings on to the sides. Cover the drain with strips of clear tape to seal it off. After 24 hours, remove the tape. You should find that there are lots of gnats stuck to the bottom of the tape. Repeat until there are no longer any gnats hanging around your drains. Gnats are attracted to decaying organic material such as fruit and food. Ensure that you regularly take out the trash and dispose of any rotting food or fruit straight away. This will remove the gnat’s food source and deter them from the area. Additionally a vinegar gnat trap can be very effective when used next to your trash cans. You should also cover your trash cans with an air tight lid and clean them regularly. As well as disposing of any rotten or decaying fruit, you should also move your fresh fruit into the refrigerator or store it in carefully sealed containers. If you leave your fruit out in the open, gnats will be attracted to it before it even starts to decay. No one’s suggesting that your house is untidy, and gnats certainly aren’t a sign of that, but if you are suffering from an infestation, it is definitely worth cleaning your house from top to bottom. This may help you to identify and eradicate the source of the problem. In addition to this, make sure that you wash plates and dishes as soon as they are used. We’re all guilty of putting them to one side whilst we get on with our lives, and returning to wash them later. But this will only serve to attract more gnats and encourage them to gather in your kitchen, so wash your dishes as soon as you’ve used them. Check doors and windows to make sure that they are properly sealed and that there are no gaps through which the tiny gnats can sneak into your home. If you need to leave windows or doors open for any reason, especially in the hot weather, think about getting a fly screen with a really tight mesh. This should help to keep your home gnat free. Moist environments offer the perfect breeding ground for gnats. Check your home for damp patches and corners, these are particularly common in kitchens and bathrooms, or other rooms where there is a water source. Regularly wipe down any damp spots you find using bleach or disinfectant and make sure that you never leave any moist towels or clothing lying around as these will attract the gnats. 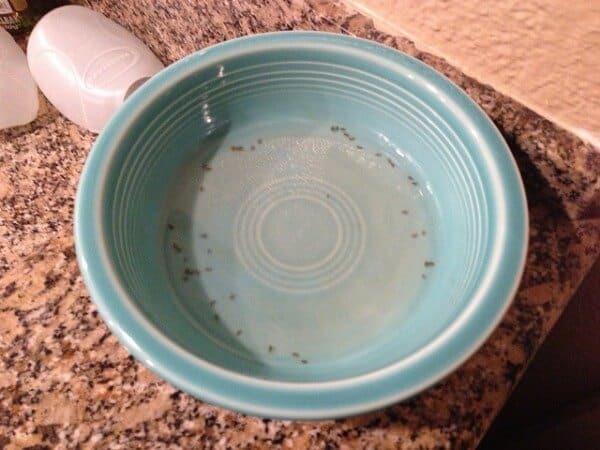 To get rid of gnats quickly and prevent them from appearing in the first place, pour diluted bleach together with a few drops of dish soap down each of your drains, plug them, and leave overnight. Rinse through with clean water and then repeat each week. There are many different types of gnats, some more irritating than others. Eye gnats are particularly annoying as they tend to swarm around your face, focussing on the eyes and mouth. Alternatively, you can make a natural gnat repellent using vanilla. Take one tablespoon of vanilla and pour it into one cup of water. Apply to the body (this is especially useful for sensitive areas such as the eyes, nose and throat). Wear long sleeved shirts and pants when spending time near rivers, lakes, streams, and other wet areas. Whilst sitting on your porch, or in your yard, use a fan to blow the gnats away from you. Here are 3 home remedies for mosquito bites, that also help gnat bites as well. Know your enemy – what are gnats? Gnats, or to give them their Latin name Order Diptera, are small, winged insects that can cause a great deal of annoyance around the home and the garden – you’ve probably suffered an infestation at some time or another! Commonly known as fruit flies, vinegar flies, or noseeums, gnats can be found in all sorts of locations and there are a number of different types. 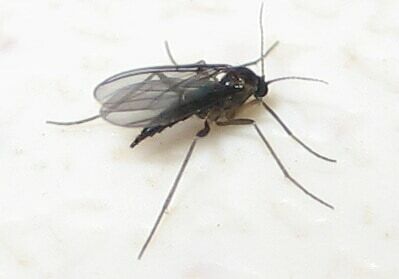 The most common type of gnat found within the home is the fungus gnat. These thrive around plants and lay their eggs in the moist soil. Midgies (both biting and non-biting varieties) and gall gnats are other common species. 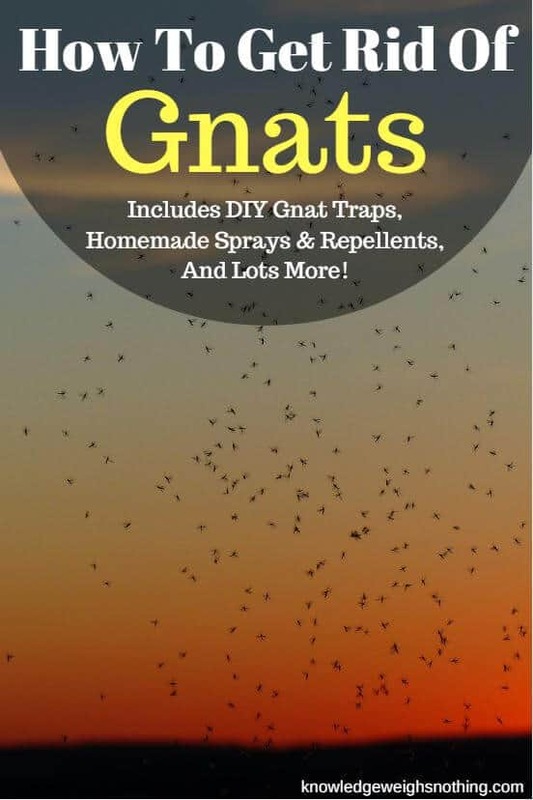 In the outdoor world, thousands of male gnats tend to assemble in large mating swarms, or ghosts, usually around dusk, filling the sky around them. Gnats are small, and extremely annoying, flies that are incredibly common across the world. They can occur anywhere where there is a water source, and they particularly enjoy moist environments. One of a family of insects that includes flies and mosquitoes, gnats are tiny flies sometimes called blackflies or midges. Although many people think that gnats are baby flies, they are actually really small adult flies, often fruit flies. As well as being the cause of much annoyance, these little critters can also be biting gnats, causing irritation to humans and pets alike. Whilst gnats may not be the most feared household pest, they reproduce extremely quickly and infest areas in their swarms, becoming a much larger problem than you might initially suspect. Whilst most gnats are harmless to humans, some gnats can also bite, often leaving painful sores and unpleasant swellings on their victims. Particularly common during warmer months, gnats are most often found around fresh produce and food, as well as moist areas such as over-watered plants and refrigerator drain trays. If you notice multiple gnats flying around your home, garden, or workplace, you’ve almost certainly got a gnat infestation! The good news is that, whilst these little flies may be almost impossible to swat and are notoriously difficult to get rid of, there are a number of ways to kill your gnats and reduce the risk of you falling victim to a gnat bite. Homemade Drain Cleaner Recipes & Ideas That Work! Your household drains can become clogged for a number of reasons. Most of the time it’s due to daily activities such as taking a shower, washing the dishes and doing your laundry, resulting in the build up of excess hair, food particles, dirt and grease. Despite using preventative treatments or even a small piece of wire mesh to stop large pieces of food or hair entering your pipes, it is extremely common for drains to become clogged! Whether it’s your laundry sink, bathtub, or washing up sink, no matter how careful you are, it’s easy for excess fibres and materials to build up in your drain and pipes, causing them to become clogged and blocked. Whereas many commercial drain-cleaning products can corrode and cause damage to your pipes, there are a host of effective and non-toxic homemade drain cleaner recipes that are highly effective and much gentle. But most importantly, you’ll probably find most of the ingredients you need hidden deep in the back of your store cupboard – now you can put them to good use! Here’s a list of the best homemade drain cleaner recipes that should help you to prevent and treat your clogged up drains. Although many homemade drain cleaning products are just as effective as commercial products, they sometimes take a little longer to start taking effect. With this in mind, taking preventive actions such as cleaning your drains regularly, will mean that should a problem arise, your home made solutions are likely to act far more quickly. When using natural, homemade drain cleaners, you should also be prepared to repeat the cleaning process more frequently than normal – but, hey, at least you’re not having to pay for expensive chemical cleaners. 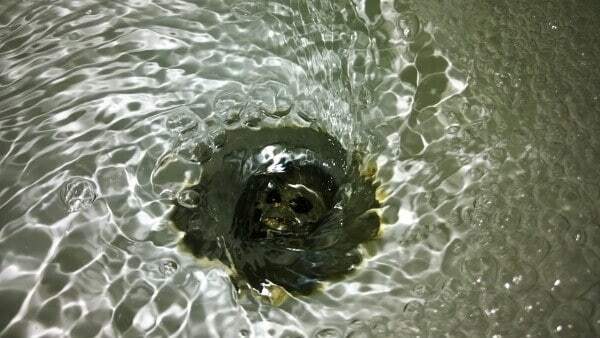 Before trying to clear your drain blockage, it’s also advisable to try and identify exactly where the clog is. This may not be a pretty task but it will help you to single out the areas that require treatment. So, pop on your rubber gloves, dig deep and scoop out any hair or excess goop that is visible, this may not be pleasant but it will make your drains much easier to clear in the long run. Although technically this isn’t a homemade drain cleaner recipe, boiling water should always be your first port of call when trying to unblock a drain. Over time, this excess fat and oil causes your drain to become blocked, making it different for water to pass through freely. A quick fix is to use boiling water to clear the blockage, especially if the clog is only minor. Simply fill your kettle with boiling water and pour it down your drain, taking care not to damage any plastics or porcelain of course! The easiest and cheapest homemade drain cleaner, boiling water can also be mixed with all of the recipes mentioned below in order to optimize results. Baking soda is certainly a ‘one shop stop’ when it comes to household remedies. Whatever the problem, you name it, baking soda will probably be able to help! And, when it comes to homemade drain cleaners, baking soda is perfectly equipped to work its magic, clearing your drains of excess dirt, grease and oil. Known as one of the most popular household drain cleaning remedies, it works alongside a cup of cider vinegar to create an intense foaming action that disperses through your drains and pipes tackles the route cause of the problem. To make this natural drain cleaning remedy, simply pour one cup of cider vinegar down your drain followed by baking soda and complete the process by running plenty of hot water. It may take a few times to clear the drain completely, so simply keep repeating the process until it is unclogged. This is another homemade drain cleaner that uses simple ingredients, which you are mostly likely to already have in your store cupboard. This effective formula brings together salt, borax ,and vinegar to create a drain cleaning recipe that is quick, easy and simple. Measure out ¼ Cup salt, ¼ Cup borax, and ¼ Cup vinegar. Mix the ingredients together and disperse accordingly. Follow with plenty of hot water (be careful to avoid plastics and porcelain). Sometimes, the results are not instant. If this is the case, simply repeat until your drain has become unclogged. And even better still, as a preventive method, integrate this process into your daily or weekly cleaning routine and you will soon reap the benefits. Mixing baking soda and lemon juice together creates a similar effect to combining baking soda and cider vinegar, it’s only a little more costly but smells a lot nicer! If you want a pleasant fresh smelling homemade drain cleaner, this is the recipe to try. Follow with plenty of hot water – again, remembering to avoid any plastics of porcelain! If you don’t see results straight away, simply repeat the process until you are satisfied. Of course, if these homemade drain cleaners don’t work, you could always try manually removing the trap, or cleaning out plug under your sink to identify the blockage and remove it. You can either use a plumber’s snake (if you don’t have one of these to hand, a wire coat hanger is just as, if not more, effective!) and apply pressure downwards to break apart the excess materials causing the blockage. This may not be the most appealing method of clearing out your drains but it is highly effective, especially in extreme cases. Just make sure that you have a bucket or container on hard to catch the liquid and excess materials once they are dispersed. Oh, and don’t forget your goggles! Hopefully the drain cleaner recipes have done the trick and your drains are now running freely again. I congratulate you on choosing safer natural alternatives to harsh commercial drain cleaning products. Recently there was a documentary on the BBC about the effectiveness of many pharmacy medicines available without prescription, sold to cure or reduce the symptoms of some of the common everyday ailments we experience. Things like coughs and colds, sore throats, indigestion and acne. The conclusion of the BBC documentary was that many of the expensive medicines we purchase to treat these ailments are ineffective, with little if any evidence they doing us any good; in fact many of these medicines have side effects so they could in fact be doing us harm. The ‘take-away’ of the documentary was that you won’t go far wrong trying – tried and tested traditional home remedies, before running out to the pharmacy. With the above in mind, we’ve had this home remedy infographic created that lists some of the most common home remedies, together with instructions on how to use them. Update: if you are suffering with a minor UTI, check out our new post on UTI home remedies. Simply copy the code in the box below and then paste it where you want it to appear on your website. There are 10 home remedies for common ailments on the infographic above. Please refer to our home remedy infographic for instructions on how to use each of the remedies. Apple cider vinegar for indigestion. Apple cider vinegar is also excellent for getting rid of skin tags. As you breathe throughout your day, you inhale microscopic particles floating in the air around you. 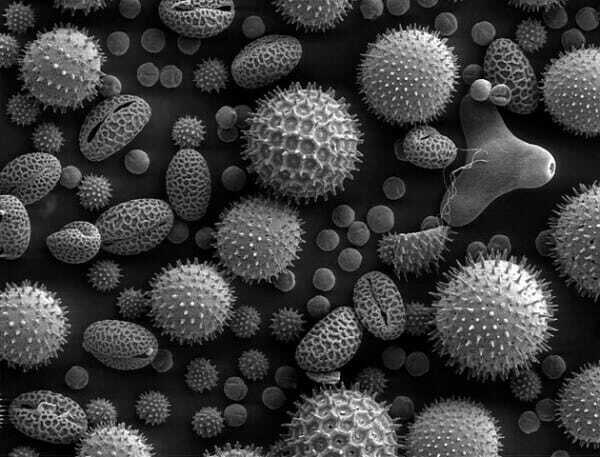 These include dust, allergens, viruses and bacteria. Generally, these particles become encased in the mucus that lines your nose and airways, which are then transported to your throat where you can cough them out or swallow them. However, there are times when these particles can irritate the sensitive mucus membranes or a virus/bacteria can stimulate an infection. 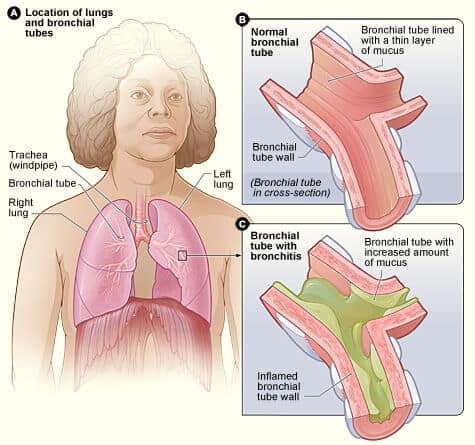 When this happens, inflammation begins to build throughout your respiratory system resulting in extra mucus. Chest congestion is the physical symptoms of having excess mucus and your body is unable to eliminate it at an efficient manner. This typically results in coughing, wheezing and a sensation of tightness – or congestion – throughout your airways. Home remedies for chest congestion actively work to loosen the excess mucus while simultaneously treating the causes of its accumulation. Although there are many over-the-counter medications capable of accomplishing this same task, home remedies for chest congestion use the power of nature and non-synthetic compounds to eliminate mucus and restore healthy breathing. Related post – 8 home remedies for post nasal drip. The following home remedies for chest congestion were selected based upon their ability to ease inflammation and promote the release of mucus buildup. As a general rule of thumb, if your congestion worsens after a week of self-care, you should visit your physician as a more serious underlying condition may be taking hold. Perhaps one of the most effective, and common, home remedies for chest congestion is gargling with salt water. The saline content found within salt water directly supports the safe and gentle removal of mucus from your airways. Bring 1 cup of water to a rolling boil and then add 2 tablespoons of table salt. Add just a dash of turmeric powder to the hot water and stir well. When the water has slightly cooled, pour the solution into your mouth and gargle for 2 minutes. Repeat up to five times per day for immediate relief. The bay leaf is an excellent home remedy for chest congestion as it features various active compounds capable of stimulating the release of excess mucus. To utilize this home remedy, bring 1 cup of water to a rolling boil. Remove from heat and pour over three fresh bay leaves. Allow the tea to steep for 10 minutes. Remove the bay leaves and consume once a day until your congestion is relieved. Both honey and onion feature powerful anti-inflammatory properties. When used regularly, this simple concoction can reduce respiratory inflammation and promote the release of excess mucus. To utilize this remedy, simply place several slices of onion into a 5 tablespoons of raw honey. Allow the ingredients to soak overnight. The next morning, remove the onion and consume. After eating the onion, take 1 teaspoon of honey. Repeat up to four times per day. The pungent volatile oils found in ginger act as an expectorant, which means it directly supports the release of mucus and phlegm from your throat and airways. Simply cut 1-inch of ginger from a fresh ginger root and place in 1 cup of boiling hot water. Allow the ginger to steep for 10 minutes. Once the tea has steeped, add 1 teaspoon of raw honey and consume up to three times per day. Ginger can also help soothe an irritated stomach. Much like ginger, lemons feature powerful volatile oils capable of releasing the hold of mucus within your respiratory system. Simply bring 1 cup of water to a rolling boil and squeeze the juice of 1 whole lemon into the hot water. Grind 1/2 teaspoon of lemon rind into the water. Once at a comfortable temperature to drink, consume up to three times per day. This home remedy for chest congestion is not only effective, but also great tasting. Each ingredient – black tea, honey and lemon – feature potent anti-inflammatory and expectorant properties. Not only will you experience relief from your chest congestion symptoms, but the caffeine within the black tea can help provide a much-needed energy boost. Simply brew 1 cup of black tea. Once fully steeped, add 2 teaspoons of raw honey and the juice from 1 lemon into the tea. Drink up to three times per day. If you’re sensitive to caffeine, decaffeinated black tea may also be used. The strong odor that’s released from boiling vinegar is a powerful home remedy for chest congestion as it works as a vapor expectorant. Simply bring 1 cup of vinegar to a rolling boil and pour into a heat-safe bowl. Lean over the vinegar and take deep breaths. Make sure to have tissue nearby as this home remedy will release mucus from your airways, which will need to be coughed up. There isn’t much apple cider vinegar can’t do. However, one of its most successful uses is as a home remedy for chest congestion. The acetic acid found within ACV acts as an expectorant, which actively works to release mucus and phlegm from your respiratory airway. Simply pour 1 ounce of ACV into a 1 cup of warm water and drink every eight hours. Because chest congestion is primarily located within the respiratory tract, the most effective home remedies for chest congestion involves medicinally-treated steam. Eucalyptus oil features a host of active compounds; however, the bulk of its mucus-eliminating qualities rests in its ability to perform as an expectorant. To utilize this home remedy, simply bring 3 cups of water to a rolling boil. Pour the steaming water into a heat-safe bowl and add 10 drops of eucalyptus essential oil. While leaning over the bowl, drape a towel over your head and breathe deeply for three to five minutes. Make sure to keep your eyes closed during this treatment as the volatile oils from eucalyptus can create a stinging sensation if your eyes are left open. In recent years, the topic of Diatomaceous Earth (DE) has increased in mainstream consciousness. This unique compound is derived from fossilized phytoplankton, and its uses range from killing parasites in chickens to promoting healthier teeth and bones. 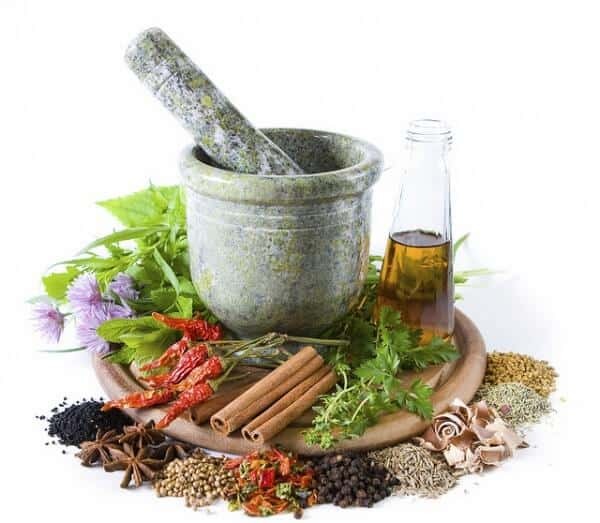 If you’re curious regarding the use of this ancient fossil for modern healing and health, then continue on to discover the 5 incredibly useful and innovative uses for this ancient compound. Due to the unique composition of DE, it’s among one of the greatest all-natural products to strengthen, whiten and protect your teeth. While it does feature slight abrasive qualities, its gentle enough to safely scrape away plaque and food particles from between teeth without damaging its enamel. Simply sprinkle a little DE over your favorite toothpaste and experience a natural way to brighten your smile. The list of negative studies regarding the use of commercially-produced deodorants as it blocks your body’s natural ability to sweat and release toxins. Because of this, many are turning to all-natural alternatives; however, those with sensitive skin may develop rashes or irritation after using such products. DE is an excellent alternative as it inhibits the formation of bacteria that causes body odor without hindering with your sweat glands. Because DE features a slight abrasive nature, it makes the perfect natural alternative to an exfoliating facial scrub. Due to its mineral concentration, such as calcium, zinc, copper and selenium, your skin is treated on the cellular level while dirt and debris is thoroughly lifted away. To utilize this remedy, mix one tablespoon of diatomaceous earth with aloe vera juice or coconut oil until a thick paste is created. Simply rub this solution on your face for one to two minutes and rinse clean with warm water. DE features a high silica concentration, which makes it an excellent product to nourish and treat your hair. To utilize this remedy, simply add 1 to 2 tablespoons of DE powder with a quarter-size amount of shampoo and thoroughly scrub. The unique composition of DE treats your hair by removing dirt and debris while injecting a large amount of nourishing minerals directly into hair follicles. Should you be suffering from a bed bug infestation, the use of DE is just as powerful – if not more – than the leasing chemical pesticide. Did you know many bed bugs have mutated to become immune to the active compounds in popular pesticide products, which renders them useless against an infestation. DE is a powerful option as it is capable of penetrating through the shell of bed bugs and literally drying them out. Simply sprinkle DE powder along your mattress and anywhere else bed bugs may rest to effective eradicate these pests from your home. 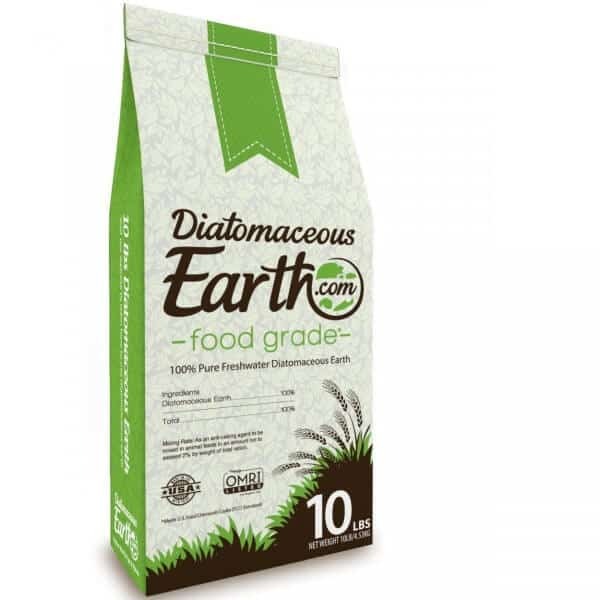 Amazon has a great range of Diatomaceous Earth, here is the one we use. For even more incredible uses for Diatomaceous Earth, check out our other posts: Spiders, Roaches, Ants & More; Get Them Out Of Your Home With A 100% Natural/Safe Product and 5 Home Remedies For Fleas & A Flea Trap That Really Work! Bathroom tiles pick up grunge over time and Epsom salt is a cheap and effective way to clean them. Mix the salts with an equal amount of liquid dish detergent. Then rub it on the grimy areas and scrub. The Epsom salt, along with the detergent, works by dissolving the grime. Also see: Remove Mold & Mildew NATURALLY With Tea Tree Oil. For those plagued by raccoons foraging in the trash can, creating a real mess and making a din in the middle of the night Epsom salt could provide the solution. The reason is very simple; raccoons hate the taste of the salts. So spread a few tablespoons around the trash can and remember to repeat the operation after rain. A car stuck on the driveway because of battery problems can be a nightmare. One way to avoid this is by regenerating the battery using Epsom salt. If it sounds as if it is struggling to turn over dissolve an ounce of the salt in warm water and add to each of the battery’s cells. Frosty window makes the windows look seasonal at Christmas, but unless there is real snow outside it can be difficult to create the effect – unless there is Epsom Salt in the home. Just mix the salt in warm beer until it stops dissolving. Then use a sponge to apply the mixture to the windows. Once they dry they will have that frosty Yuletide look! Over cooked and burnt food can be difficult to remove from pots and pans. A few tablespoons of Epsom salt along with soap and halt water can remove the drudgery from scrubbing away stuck burnt food and leave the pots and pans clean. Epsom salts in water can be used to nourish houseplants around the home and keep them fresh and healthy. Use 1 or 2 tablespoons of the salts per gallon of water to make the solution. Epson Salt provides an eco-friendly way to clean hard water stains off glass shower doors. Mix a cup of the salts, a ½ cup of baking soda and a ¼ cup of liquid dish soap. Make sure the shower doors are dry before cleaning. Scoop up the mixture with a damp cloth and begin the cleaning. To save money on fabric softener take the Epsom Salt from the cupboard and make a homemade version. This can be done by taking 2 cups of the salt, a half cup of baking soda and 30 drops of essentials oils (such as citrus oils). The ingredients should then be mixed together and added directly to the wash load (1/4 cup per large load). There are times of the year when the garden or yard seems to be infested by horrible slimy slugs. A tin of Epsom salt in the home can deal with this particular problem. Just sprinkle the salt in the areas where slugs appear and soon they will be gone. It appears slugs just do not like magnesium sulfate! If the grass is browning under the summer sun it can be made to be the color it should be – green – using Epsom salt. It is the magnesium and iron in the salts which does the trick. Mix 3 tablespoons of the Epsom salts with a gallon of water. Next sprinkle it over the lawn and follow this up by sprinkling with plain water. This ensures the salts soak into the grass, restoring it to its natural color. Epsom salt makes a great fertilizer for tomatoes and other plants. Add one tablespoon of the salts for each foot of the plant every week. Epsom salt can also be used to fertilize roses, flowers, trees and houseplants. For people growing their own fruit in the garden Epsom salt can make them even sweeter. By applying the salts (2 tablespoons per gallon of water) chlorophyll levels are raised inside the cells of the plants which lead to sweeter fruits. For those who prefer organic gardening Epsom salt improves nutrient absorption naturally and avoids the need to use processed chemical fertilizers. To improve seed germination in the garden add Epsom salt to the soil before planting. The magnesium in the salt strengthens cell walls leading to stronger seedlings. 1 or 2 tablespoons of Epsom salt should be poured into the bottom of each hole before the seeds are dropped in. Epson salt can be used to prevent leaf curling which is caused by a deficiency of magnesium in the plant. To solve the problem add the salt to the soil around the foot of the plant. For a quicker option mix 2 tablespoons of Epsom salt in a gallon of water and sprinkle directly on the leaves. Epsom salts can be used to control weeds in the garden and also to produce a homemade weed killer. Mix 1 gallon of white vinegar with 2 cups of Epsom salt and a ¼ cup of regular dish soap then pour the mixture into a gallon sprayer or watering can. The weeds can be killed within only a few hours. This homemade weed killer should be used to control weeds every two weeks and it poses no danger to pets or children. An Epsom salt bath at home is ideal for relieving tension. Dissolve the salts in a bath. The salt molecules promote serotine production in the body which helps reduce the effects of adrenaline. The magnesium helps promote energy in the cells of the body without causing restlessness or anxiety. Important Epsom salt uses include taking it to help improve circulation which in turn can prevent serious cardiovascular problems. The salts help by reducing inflammation and ensuring the elasticity of the arteries remains protected. Healthy arteries lessen the risk of blood clots, as well as the buildup of plaque and damage to arterial walls. When constipation strikes reach for the Epsom salts; they are one of the best natural home remedies for constipation and the condition can be eased by drinking a cup of warm with two tablespoons of the salts dissolved in it. The salts provide relief because they are a saline laxative. Among Epsom salt’s many uses is teeth whitening. Mix 1 part of the salt with 1 part water and then use the mixture when brushing the teeth. Use the salts to gargle with after brushing. Not only does this method produce gleaming teeth it also helps prevent periodontal diseases. Also see: 8 Surprising Uses for Hydrogen Peroxide for more on natural teeth whitening. Most splinters are in and out in a few seconds with little first aid required, but sometimes splinters can be real nasty – they can be big, get stuck in deep and get infected. I had to go to the ER once for a glass shard splinter. I felt it go in but I never saw it until they pulled it out – it was almost 3cm long! I think when splinters don’t come out quickly and easily, most people resort to needles and cutting with a sharp knife etc. These methods don’t always work and they can actually make things a lot worse, either way, there is pain and blood involved. There doesn’t have to be pain, blood, knives or needles though – all you need is some magnesium sulfate, or Epsom salts as it is better known. 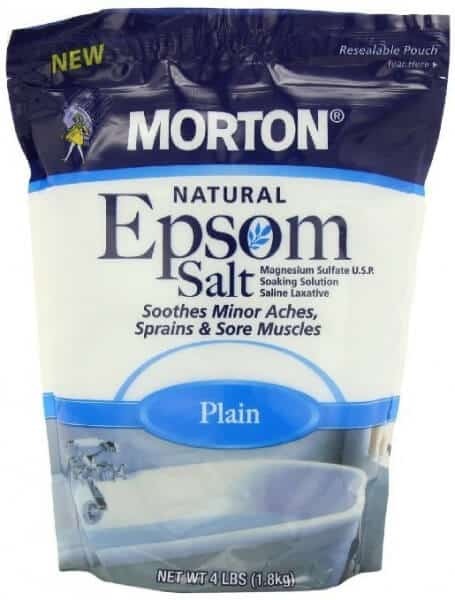 Two ways to use Epsom salts to remove a splinter. Firstly you can try mixing some Epsom salts in a cup of warm water and then soak the finger etc in it for a few minutes 2-3 times a day. If it’s a bigger/deeper splinter, you can sprinkle a pinch of Epsom salts onto a band-aid/wound dressing and apply put it over the splinter. Remove and reapply twice a day. Whichever method you try, within a day or so the splinter should work its way towards the surface, where you’ll be able to pull it out without any pain. If the splinter hasn’t moved and/or it has become infected, now’s the time to consider seeing a medical professional. The odor from feet can be very unpleasant and embarrassing. Dissolve Epsom salts in a foot bath and soak the feet for around 15 to 20 minutes to get rid of the smell. Epsom salt foot baths are also great for relieving the feeling of heavy legs and foot pain. Epsom salt is an effective way to treat sunburn. Its strong anti-inflammatory properties can help ease the itchiness and pain of sunburnt skin. To remove blackheads a teaspoon of Epsom salt and 3 drops of iodine in a half cup of boiling water. When the water has cooled apply the mixture to the blackhead using a cotton ball. Repeat 3 or 4 times before gently removing the blackhead. Then dab with an alcohol-based astringent. Be sure to check out our complete how to get rid of blackheads post. Epsom salt in the home can be used to fade bruises by putting 2 tablespoons of the salt in a cup of warm water. Soak a washcloth in the solution and apply as a compress to the bruised area. If digestion needs to be stimulated take the Epsom salts from the cupboard and dissolve 1 or 2 tablespoons in a cup of warm. Drink the Epsom salts solution before eating. To detoxify the body stir 1 to 2 cups of Epsom salts in a bathtub of warm water then soak for 10 to 15 minutes. The magnesium sulfate in the salts makes an Epsom salt bath a great way to detoxify. Magnesium sulfate has the ability to relieve tension, pain and cramping. It also governs the body’s use of calcium which aids the transmission of chemical signals throughout the nervous system and regulates fluid retention in the body’s cells. Epsom salts in the home can be used to regulate blood sugar levels. This is because magnesium sulfate helps the body to produce and use insulin. If taken regularly mixed in water, Epsom salts may be able to lower the risk of diabetes and also boost the body’s energy levels. Epsom salt can be used to provide natural and cheap hair care. The salts should be mixed with equal parts of conditioner. The mixture can then be applied to the hair and left for around 20 minutes. Then rinse the hair well and let air dry. The Epsom salt and conditioner mixture can be used on both greasy and dry hair. Take the carton of Epsom salt off the shelf and take a handful of the salts and massage over wet skin. To take full advantage of this natural chemical free skin foliate start at the feet and move up the body towards the face. Finish off by taking a soak in the bathtub. One way to ensure a good night’s sleep after a long hard day is to take a relaxing Epson Salt bath around an hour before going to bed. The salts help improve sleep because they increase the level of magnesium in the body. To enjoy a relaxing soak before bedtime fill the tub with hot water and add a cup of Epsom salts and a cup of baking soda. Then go to bed prepared for a night of good sleep and hopefully sweet dreams. Epson salt can be used to make a natural skin mask free of chemicals. Just a teaspoon of Epsom salt is required along with a puree made up of white egg, a half teaspoon of pantothenic acid powder, a teaspoon of Aloe Vera and a chopped ripe tomato and 2 drops of thyme oil. Apply to the face for around 15 minutes then rinse off. This homemade skin mask is also a good treatment for people suffering problems with acne. Gout is a very painful condition and Epsom salt can be used to provide relief. Add 2 or 3 teaspoons of the salts to a basin of hot water and soak the affected area for 30 minutes. Hydrogen peroxide is a staple in almost every home first aid kit. While this product kills germs and protects your body from infections, its use spans far deeper than cleaning scraped knees. This common household product can be used for anything from whitening your teeth to cleaning stains out of clothes. Continue to explore several surprising uses from this simple water and oxygen compound. Realize it or not, Hydrogen Peroxide – H2O2 – is one of the most versatile products to have in the home. It has a multitude of uses for maintaining personal health and beauty and is handy to have available for cleaning and even cooking. 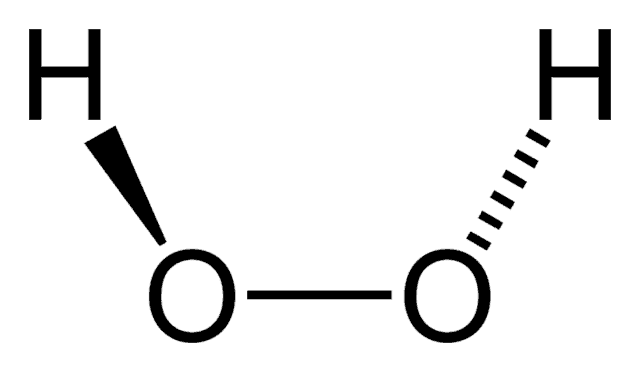 Hydrogen peroxide is available in different strengths, generally 3% to 35% for domestic use. Unless stated the hydrogen peroxide, even when diluted, listed below is 3%. Always check the correct strength is being used. To clean the refrigerator, spray the inside with hydrogen peroxide. Let it soak then after a few minutes wipe with a clean cloth to get rid of food debris and stains. Remove dirt, wax and other contaminants from fruit and vegetables by spraying them with hydrogen peroxide. Let the spray soak in for a couple of minutes then rinse in cold water. Raw meat and other foods are cut on cutting boards and this can lead to germs and bacteria left behind. So the boards need to be regularly cleaned. Spraying with hydrogen peroxide will thoroughly cleanse them. Dirty dishrags and sponges need to be soaked to disinfect them. The most efficient way to do this is to soak them in hydrogen peroxide for up to 30 minutes to ensure they are thoroughly disinfected. To clean and disinfect countertops in either the bathroom or kitchen spray with hydrogen peroxide. Simply pour 1 to 2 cups of 3% hydrogen peroxide into the toilet bowl and allow it to soak for 30 minutes. Using a toilet brush, scrub the bowl interior and flush away the grime. Dirty mirrors and glass surfaces can be difficult to clean. To do the job efficiently, spray with hydrogen peroxide. This will loosen the dirt and grime which can then be wiped away with a clean lint-free cloth. Did you know standard 3% hydrogen peroxide is so effective at eliminating mold spores, that even government health agencies recommend this remedy? Leaving mold untreated, can result in serious respiratory illnesses and even constant allergy attacks. Eliminate mold from your home or office by pouring undiluted 3% hydrogen peroxide into a spray bottle. Spray until the mold area is completely saturated. Allow the solution to sit for 10 minutes before scrubbing the area with a sponge. Wear protective breathing masks to prevent inhaling mold spores. If in doubt, repeat the cleaning process up to three times. Soap scum and dirt as well as other stains build up in the bathtub over time and they can be difficult to scrub away. To make cleaning easier first spray the tub with hydrogen peroxide. Leave for around 30 minutes as during this time the grime will be loosened leaving it much easier to be wiped away. Using hydrogen peroxide is a good way to clean the toilet bowl. Just pour half a cup into the toilet and leave for around 30 minutes. This will help clean the bowl and remove any stains. Tip: for blocked drains – see our homemade drain cleaner post. For whiter grout mix hydrogen peroxide with some white flour and turn into a thick paste. Next apply the paste to the grout and cover overnight with plastic wrap. The next day rinse with water and the grout will be whiter. Hydrogen peroxide provides an efficient way to clean tiled surfaces. Over time tiles become dirty and pick up stains. The dirt and stains can be removed and the surfaces cleaned by spraying the hydrogen peroxide directly on the tiles. Fungal spores can impede seed germination. The spores can be removed and germination improved by soaking the seeds in hydrogen peroxide. Hydrogen peroxide can be used to cleanse humidifiers by adding a pint of the liquid to a gallon of water. By running the solution through the humidifiers they are disinfected and any mold or mildew growing inside them removed. Lunch boxes need not only to be clean but also hygienic. This means they should be disinfected regularly. This can be done by spraying the lunchboxes, along with any coolers and cooler bags with hydrogen peroxide. After spraying let them sit for a few minutes and then wipe to leave clean and disinfected. A good way to freshen up re-usable cloth shopping bags is to spray them with hydrogen peroxide. This will remove any lingering food odors and leave them clean and disinfected. Hydrogen peroxide in the home can be used to clean dirty rugs and carpets. Light carpets, in particular, can pick up dirt and mud from footwear worn outside very quickly. Dropped food and spilled drinks cam also mark the carpet. To clean them spray on hydrogen peroxide. It is important to test this cleaning method on a hidden area first as the substance can bleach some fabrics. Over time fabrics pick up odors that are unpleasant and unwanted. To remove the odors and freshen up the fabric soak in a mixture of hydrogen peroxide and white vinegar. To remove organic stains, such as coffee, wine, blood and sweat from a fabric mix two parts hydrogen peroxide with one part dish detergent. The mixture should then be applied to the stains. Hydrogen peroxide can bleach some darker colored fabrics, so be cautious when using this method. Over time some laundered items can be become yellow or dingy. They need revitalizing in the wash. Do this by adding a cup of hydrogen peroxide to the wash water, leaving the laundry to soak for around 15 to 30 minutes. Hydrogen peroxide in the home is very useful for people who wear contact lenses. The lenses can be soaked in the solution overnight to remove protein buildup and leave them clean for wearing again next morning. All–purpose cleaners are expensive and can eat into the household budget. To save those hard earned dollars use hydrogen peroxide which is a cheaper, and viable, alternative to those commercial cleaners. 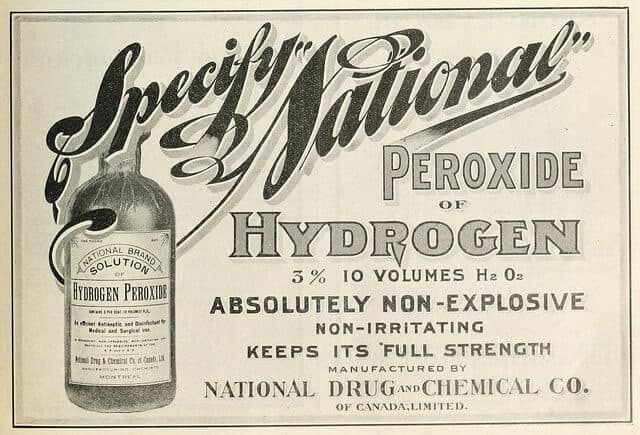 Hydrogen peroxide can be used undiluted or mixed with water for cleaning. Dishwasher Detergent can be expensive so a good way to save money is by mixing it with hydrogen peroxide. Also save on ordinary detergent by using hydrogen peroxide when hand washing the dishes. Household cats and dogs can sometimes suffer after eating something which makes them very ill. In these cases a dose of hydrogen peroxide can induce vomiting purging the pet of possible dangerous substances. People who keep an aquarium in the home can use hydrogen peroxide to control the growth of fungus. It must be used sparingly to prevent any harm to the fish. Stains such as blood can very stubborn and difficult to remove from clothing. One option to deal with this is to use hydrogen peroxide and pour it directly on the stain. Leave for a minute, rub, and then rinse with cold water. If need be repeat the process. To ensure oral hygiene is maintained it is important that toothbrushes are regularly disinfected. One way to do this by soaking them in hydrogen peroxide as it will help kill the bacteria and germs which thrive in the typical bathroom and which can infect toothbrushes. One of the lesser known benefits of having hydrogen peroxide in the home is that it can be used for growing oyster mushrooms in a refrigerator. The process involves freezer bags and a gallon of diluted hydrogen peroxide. This is not a quick way to grow oyster mushrooms; it takes around 6 months but the end result is well worth the wait. Hydrogen peroxide can be used for marinating. To marinade fish, meat or poultry place in a casserole and cover with equal parts hydrogen peroxide and water. Loosely cover the casserole and refrigerate for 30 minutes. Rinse before cooking. To treat foot fungus mix hydrogen peroxide and water in a darkened bottle (hydrogen peroxide should not be exposed to sunlight). Apply to the area affected by the foot fungus. Alternatively you can try the mouthwash home remedy instead. Using hydrogen peroxide can be a home cure for people suffering skin mites. Dealing with the problem is quite simple. If the hydrogen peroxide is sprayed on the affected area of skin and the process repeated a few minutes later then the mites will be killed. Putting 6 to 8 drops of hydrogen peroxide in the ear using a small dropper bottle will ease the symptoms and help clear up the infection, or you can try this instead. To avoid ear infection – swimmer’s ear – mix hydrogen peroxide and vinegar in a small dropper bottle. Following the swim put a few drops in each ear to prevent infection developing. To remove earwax first put 2 drops of hydrogen peroxide in the affected ear. Wait for a couple of minutes then put a couple of drops olive oil in the ear. After another minute drain all the fluid from the ear and that will clear the wax. Here is another alternative home remedy for earwax. To soften corns and calluses on the feet make a foot soak using equal parts hydrogen peroxide and warm water. Soak the feet in the mixture and the hydrogen peroxide will soften any corns and calluses quite naturally. A use of hydrogen peroxide is to help heal boils. Fill a bathtub full of warm water and add 1 cup of 35% hydrogen peroxide. A soak in the bathtub will help treat any boils on the body. Acne is an unpleasant condition which can cause personal embarrassment. A hydrogen peroxide face rinse will kill the germs that cause the acne and lead to a clearer complexion. See here for out post: how to get rid of blackheads. To take advantage of hydrogen peroxide teeth whitening use it as antiseptic mouth wash. As well as whitening teeth the hydrogen peroxide will also kill germs in the mouth which lead to bad breath. To disinfect small wounds and avoid infection use hydrogen peroxide as it is a natural anti-sceptic. If someone is suffering toothache the pain can be eased by rinsing or gargling with a mixture of hydrogen peroxide and coconut oil. This benefit is down largely to hydrogen peroxide’s antibacterial properties. Infected sinuses are very painful. One way to clear the sinuses and provide relief from the pain is to make a homemade nasal spray using hydrogen peroxide. The amount of hydrogen peroxide to be used will depend on the severity of the infection, but generally 3% HP mixed in a cup of non-chlorinated water should do the trick. A soak in a bath laced with hydrogen peroxide offers the benefits of detoxifying and rejuvenating the body. To prepare the detox bath pour cup of 35% hydrogen peroxide into a tub of warm water. Then it’s a case of soaking in the bathtub, adding hot water to maintain a comfortable temperature, for half an hour. Spray hydrogen peroxide over damp hair to give it sun-bleached highlights. After spraying allow it to soak in to the hair for around 10 to 15 minutes before rinsing. Hydrogen peroxide is much milder than household bleaches so it is great option for “bleaching” hair and making it lighter. To whiten finger and toe nails put the finger tips and toes in hydrogen peroxide. This is a proven and natural method of nail whitening. The primary ingredient in most whitening toothpastes and products is hydrogen peroxide. Obtain the whitening power of this simplistic compound, without paying the high price tag many of these products demand, by using hydrogen peroxide as an occasional mouthwash. This compound whitens teeth by naturally bleaching its surface through oxygenation. Not only will your teeth shine like the sun, but its anti-bacterial qualities help prevent the formation and/or progression of gum disease and bad-breath bacteria. Brush your teeth with your standard toothpaste. Mix 1 teaspoon of 3% hydrogen peroxide with 2 teaspoons of water. Rinse with water and repeat two to three times per week. Check out our related post on oil pulling. Note: This is an excellent way to prevent colds and other sicknesses from lingering in your home or office. Fresh vegetables are often produced using spray pesticides and other potentially harmful chemicals. Prevent these, and any germs, from infecting your family by adding ? cup of 3% hydrogen peroxide into a large mixing bowl. Combine with 3 cups of water and soak fruits and vegetables for 20 to 30 minutes. Rinse and refrigerate. By placing 2 to 3 drops of pure 3% hydrogen peroxide into each ear, holistic proponents claim cold and flu durations are significantly lowered. After placing the drops in one ear, allow the peroxide to bubble for 5 to 10 minutes before tilting your head and allowing the peroxide (and ear wax) to drain out. Repeat on the other ear.